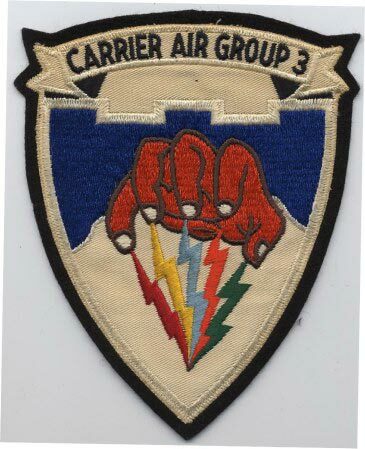 Aircraft, Engines, Morale/Novelty, Schools & Training, Weapons Systems, & etc. 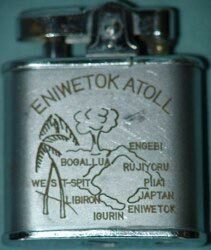 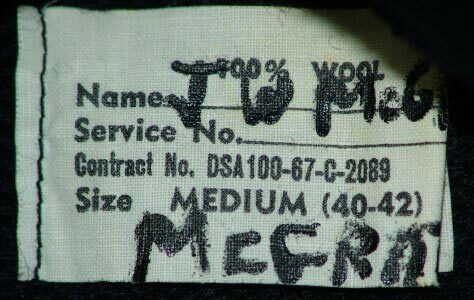 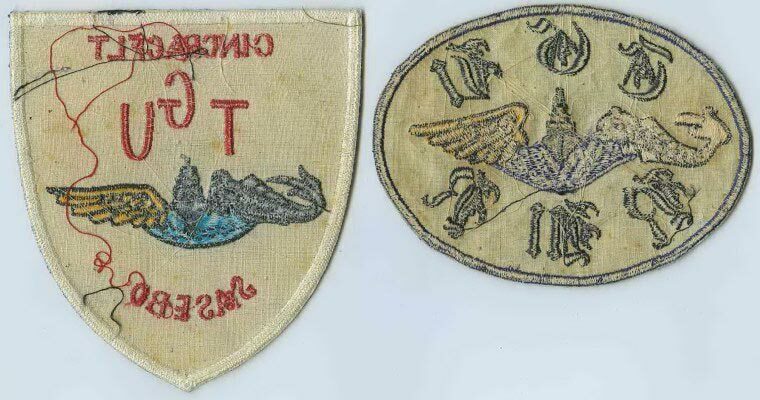 Named on back and I think he was a "CT". 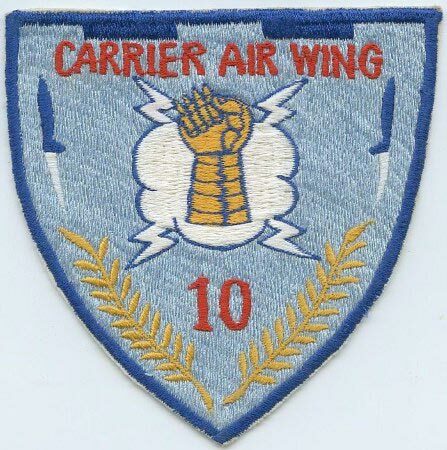 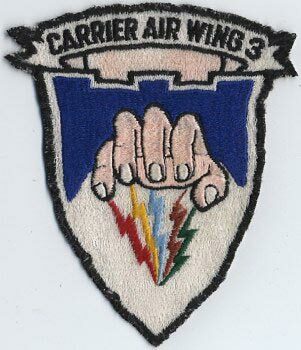 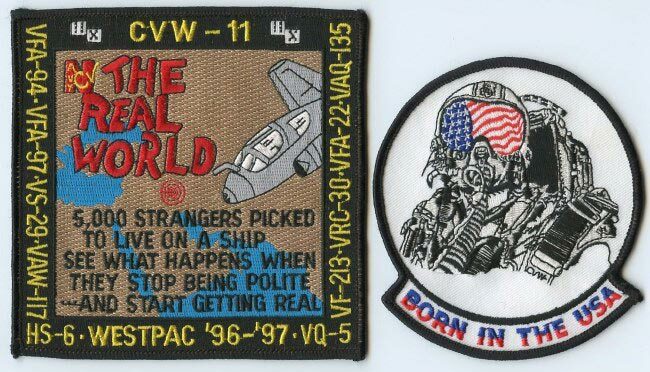 CVW-11 WESTPAC 1996-1997 & "BORN IN THE USA"
Carrier Air Wing 19 (CVW-19) "INDIAN COUNTRY 1972"
Veteran or Collector's data on back "CAG 58" and "46-49"
bottom line reads: "NO. 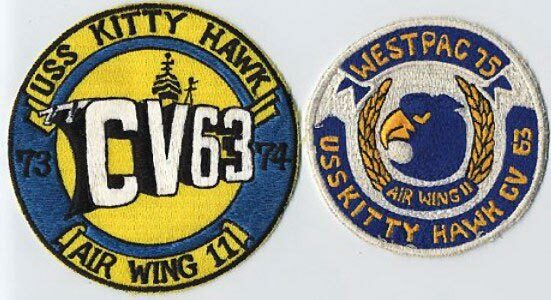 19531 JAPAN"
CAW-11 WESTPAC Cruise 1966-67 on the USS Kitty Hawk (CVA-63) depicting all of it's Squadrons: VF-213, VA-85, VA-112, VAW-11, HC-1, VAH-4, VA-144, RVAH-13(? 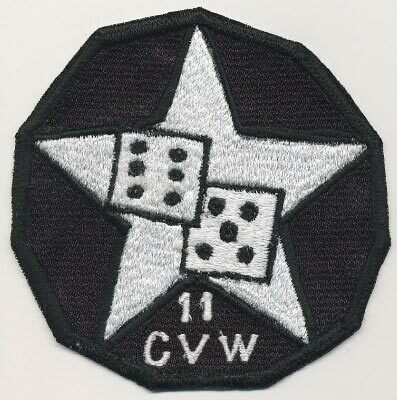 ), VF-114. 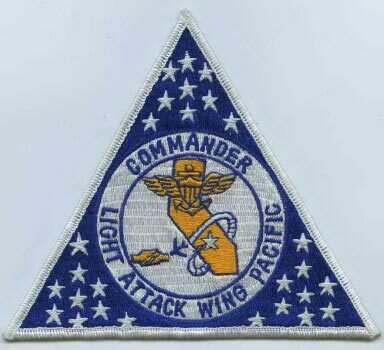 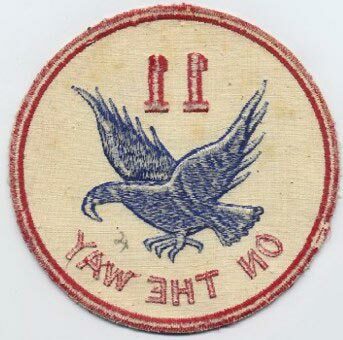 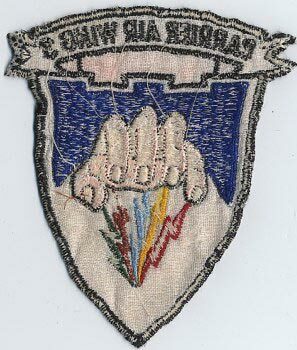 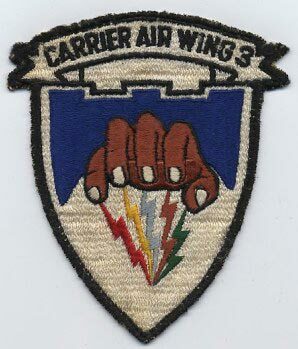 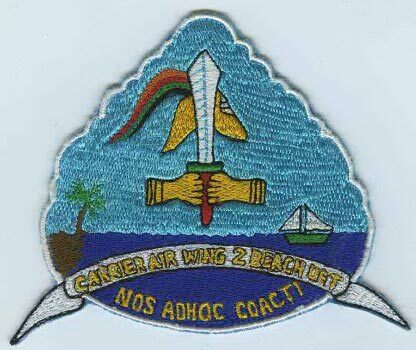 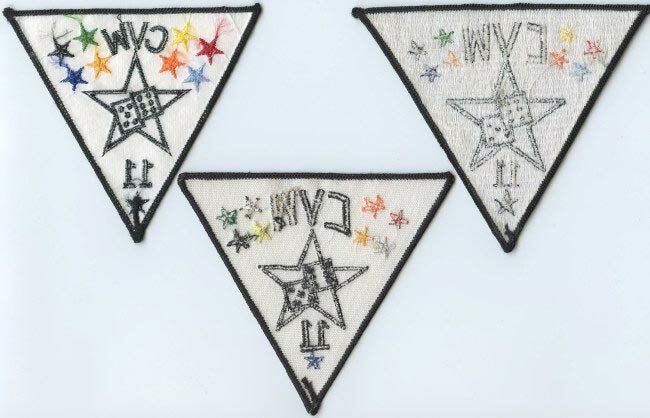 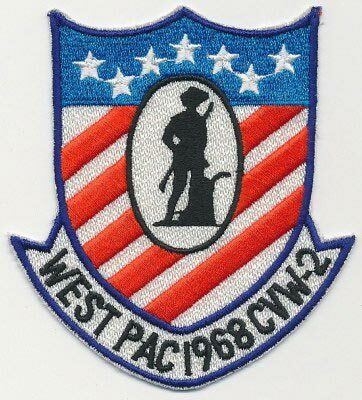 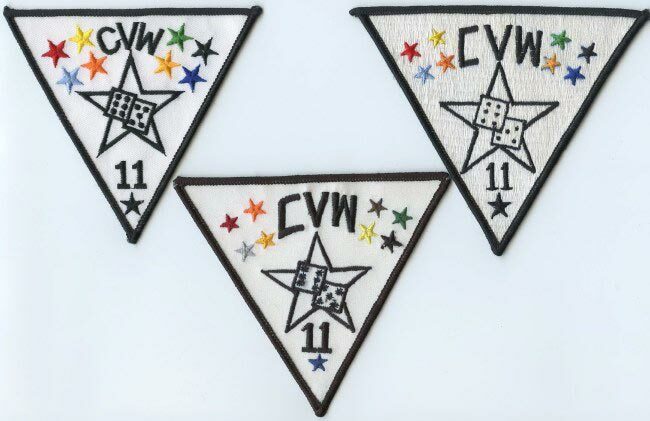 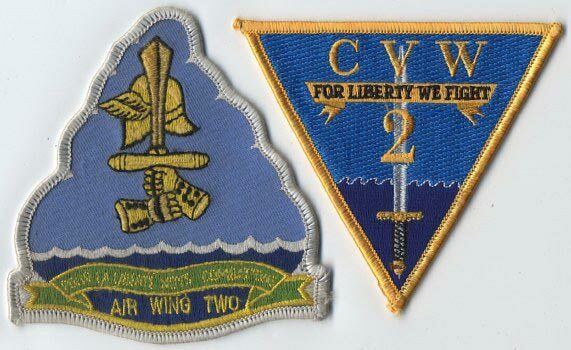 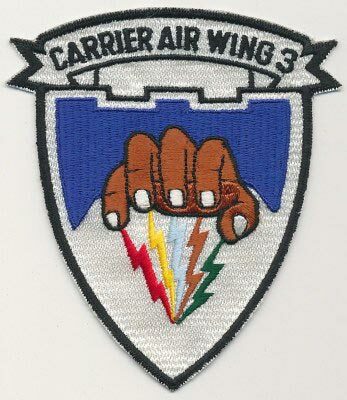 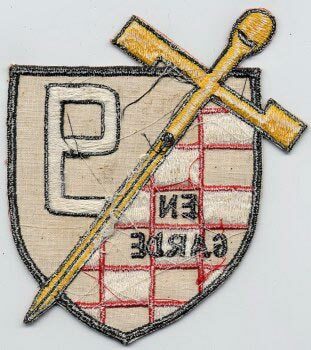 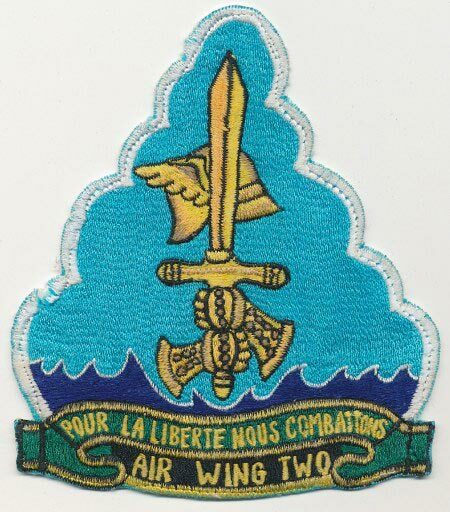 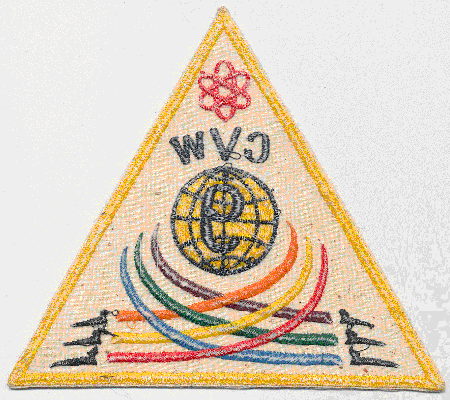 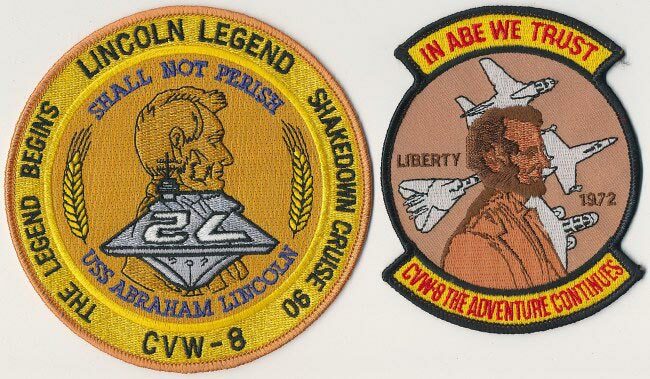 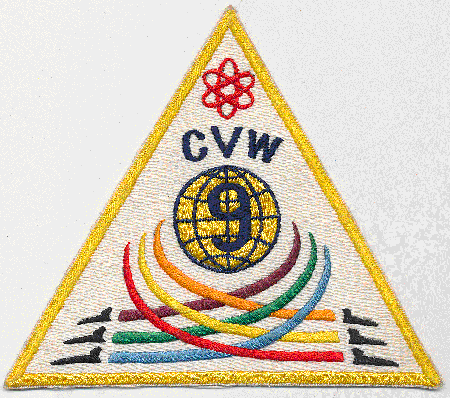 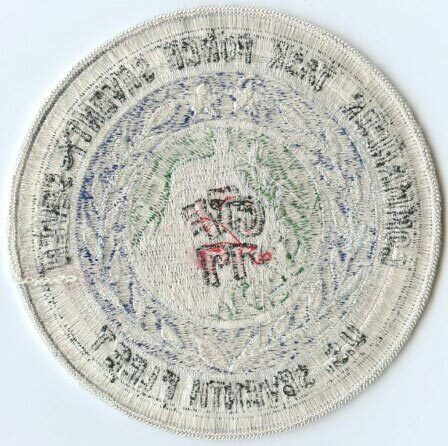 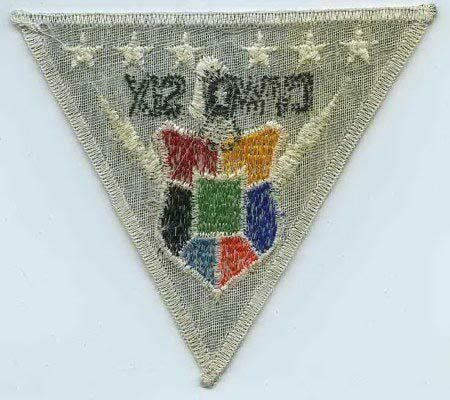 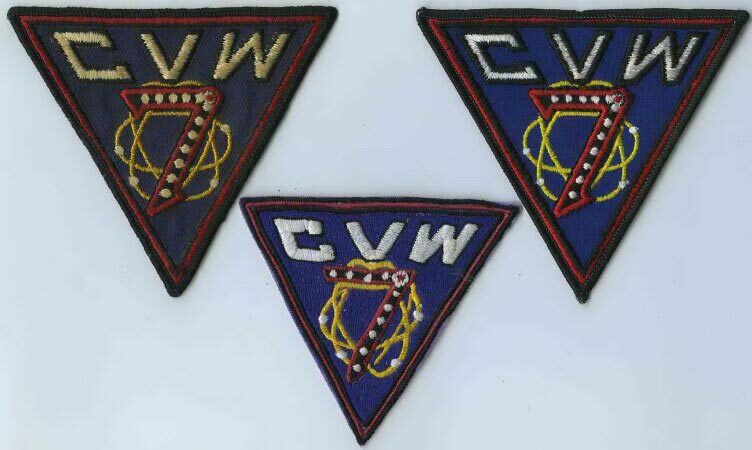 Patches came together - anyone know the meaning and use of the "CH23" patch? 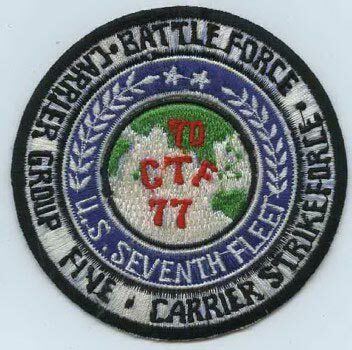 The term FLOTILLA was probably replaced by the word "GROUP" circa June 1973(?). 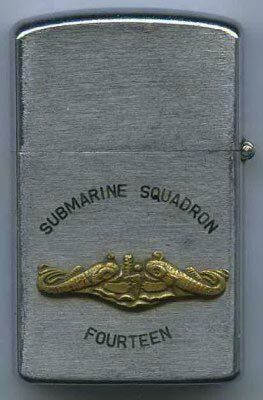 The modern Chain of Command for related terms are: Group>Squadron>division. 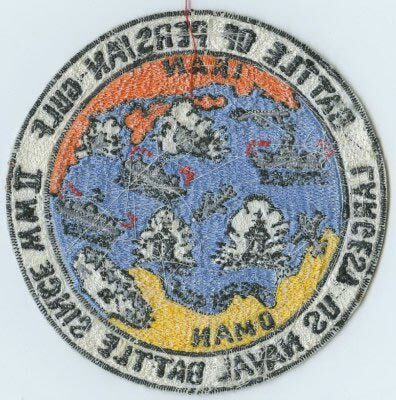 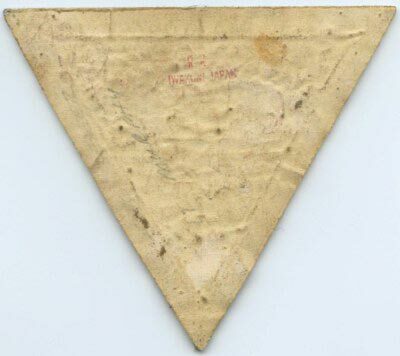 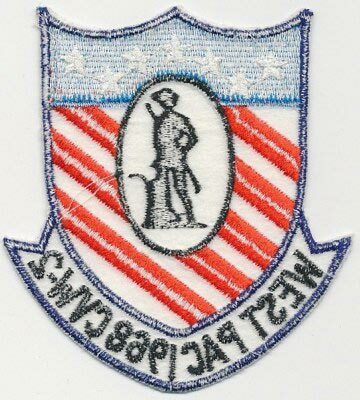 "The Wooden Ships with Iron Men"
"Where the Fleet goes, We've Been"
"My Wake is your Track"
The "Battle of the Persian Gulf" patch is from Operation Praying Mantis, it is an Uncommon find. 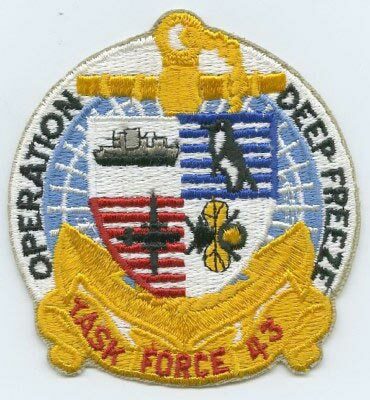 Operation Praying Mantis was an attack on April 18, 1988, by U.S. naval forces within Iranian territorial waters in retaliation for the Iranian mining of the Persian Gulf during the Iran Iraq war and the subsequent damage to an American warship. 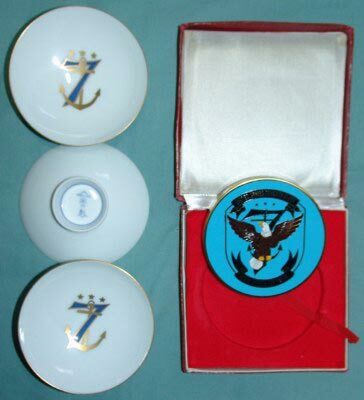 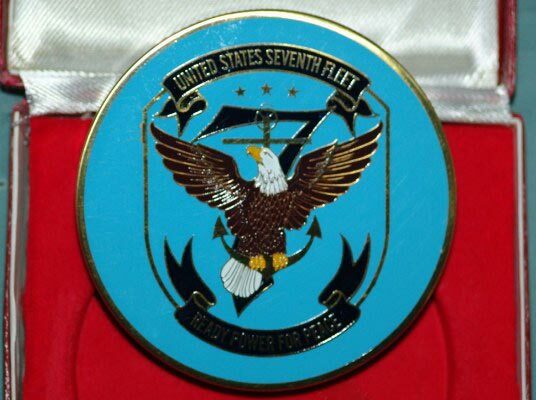 On 14 April, the guided missile frigate USS Samuel B. Roberts struck a mine while deployed in the Persian Gulf as part of Operation Earnest Will; the mission in 1987-88 in which U.S. warships escorted reflagged Kuwaiti oil tankers to protect them from Iranian attacks. 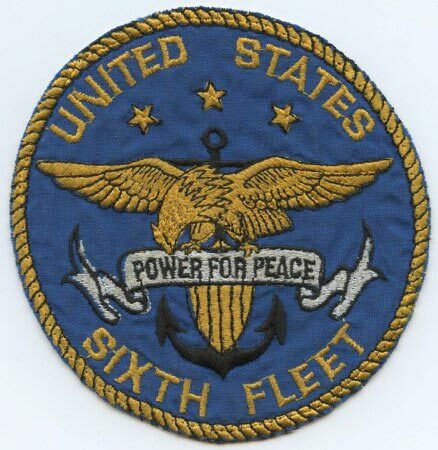 The explosion opened a 25-foot hole in the Roberts's hull and nearly sank it. 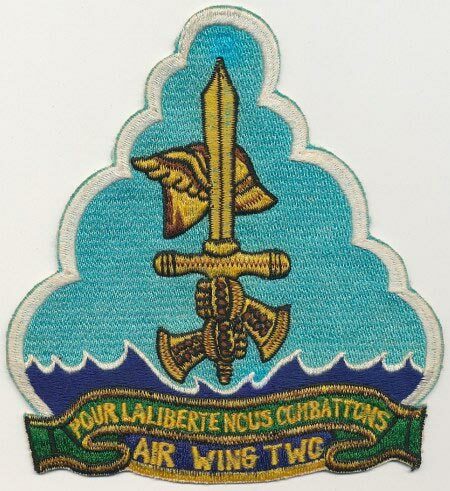 The crew saved their ship with no loss of life, and Roberts was towed to Dubai on 16 April. 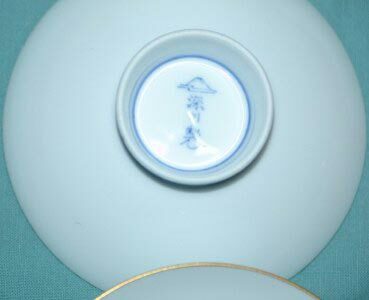 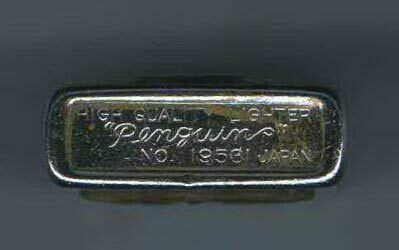 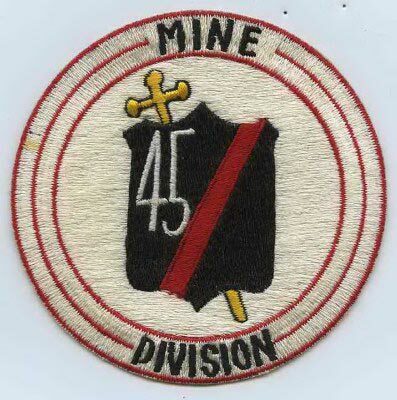 After the mining, U.S. Navy divers recovered other mines in the area. 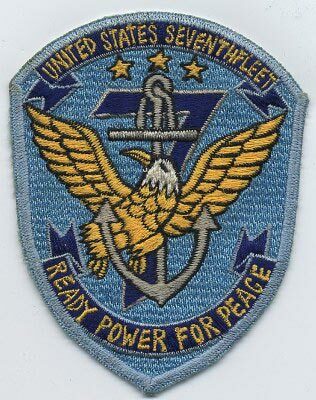 When the serial numbers were found to match those of mines seized along with the Iran Ajr the previous September, U.S. military officials planned a retaliatory operation against Iranian targets in the Persian Gulf. 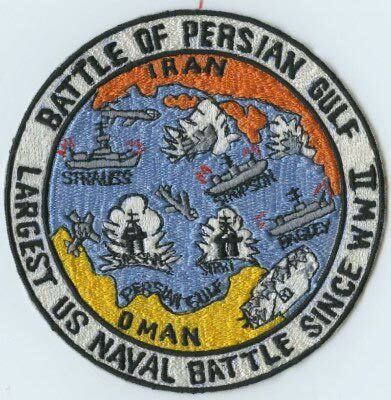 The attack by the U.S. helped pressure Iran to agree to a ceasefire with Iraq later that summer, ending the eight-year conflict between the Persian Gulf neighbors. 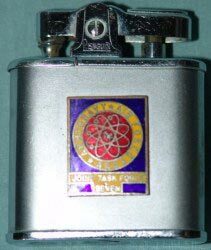 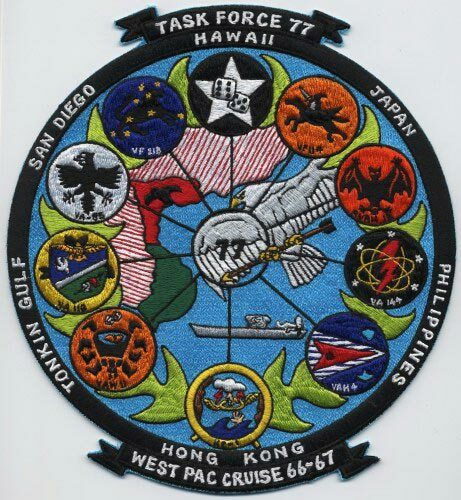 Many units participated, some are the: Strauss, Simpson, Bagley, VA-95, not sure of the carrier but the USS Enterprise was mentioned on the web(?). 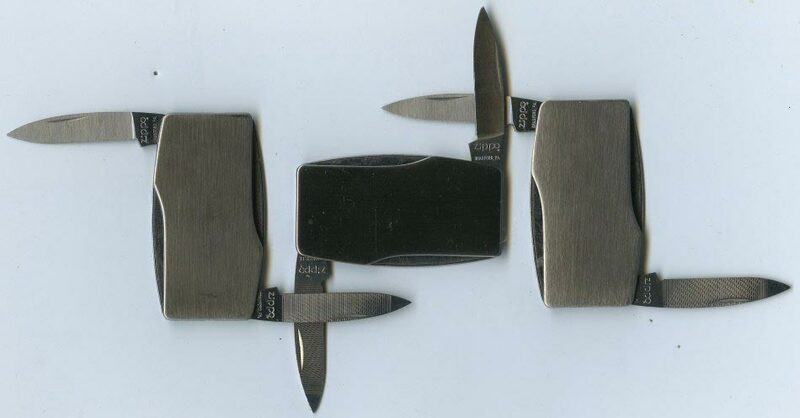 "TGU" expands to Technical Guidance Unit. 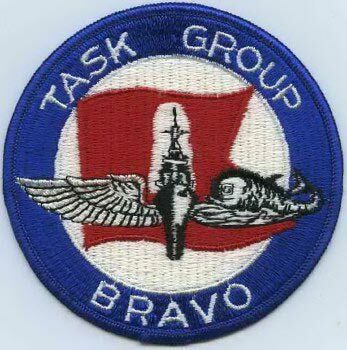 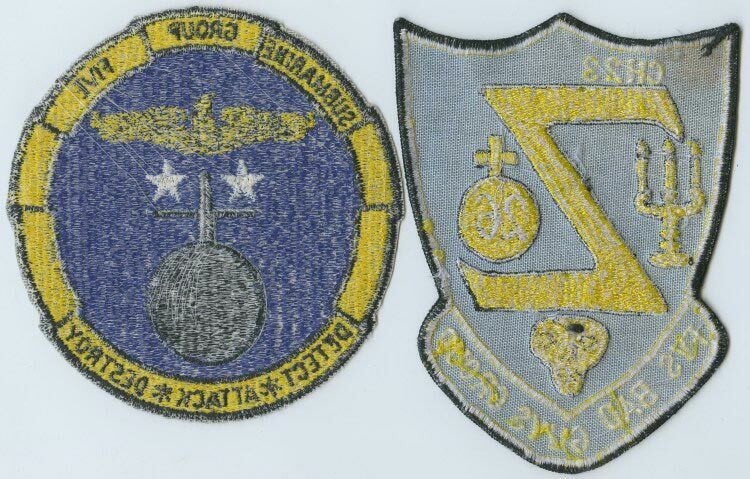 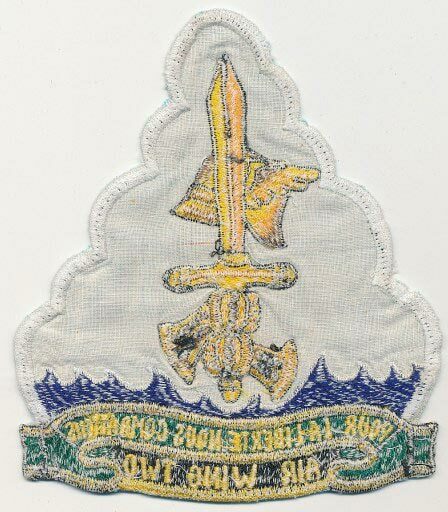 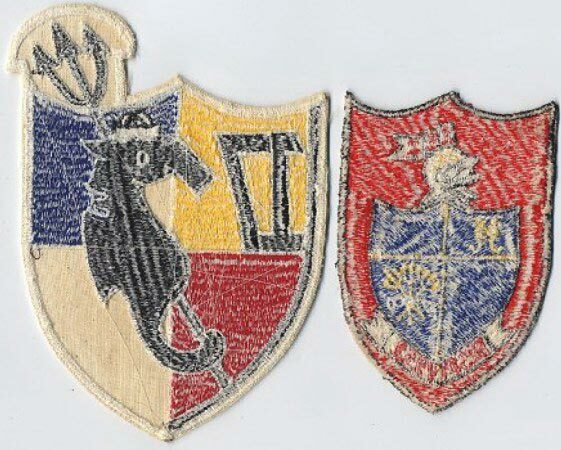 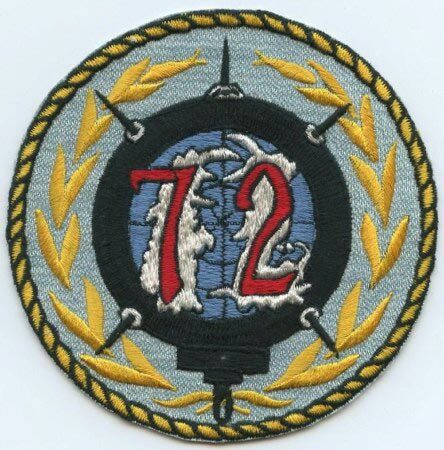 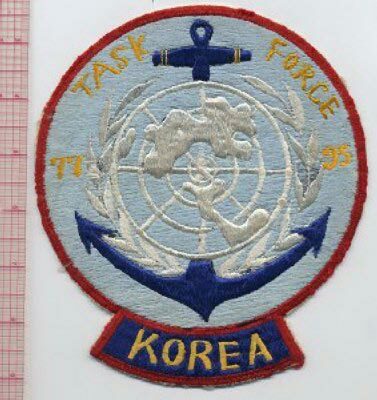 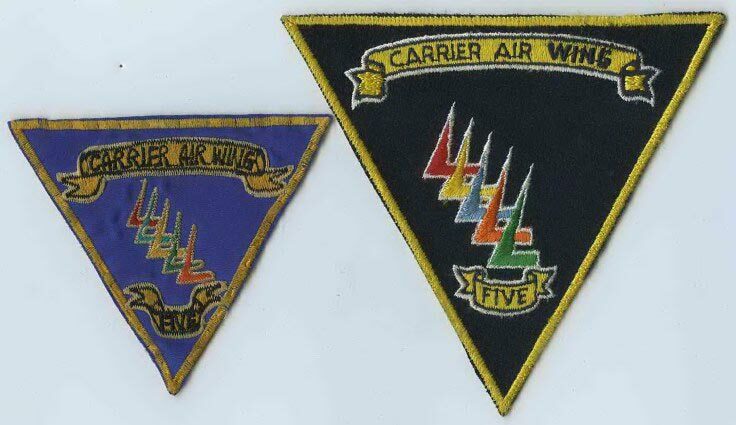 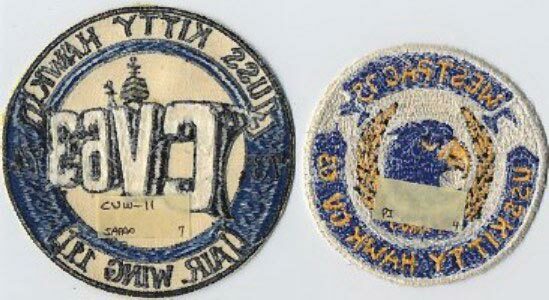 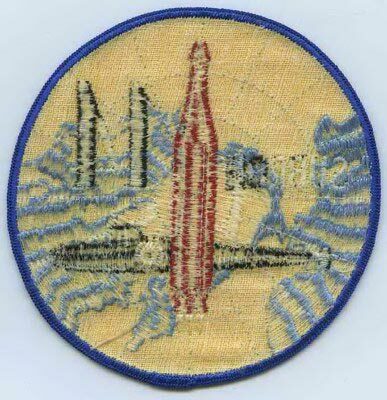 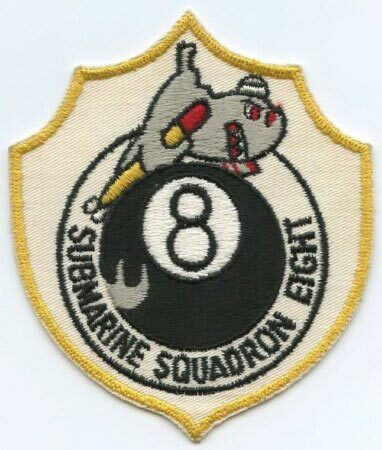 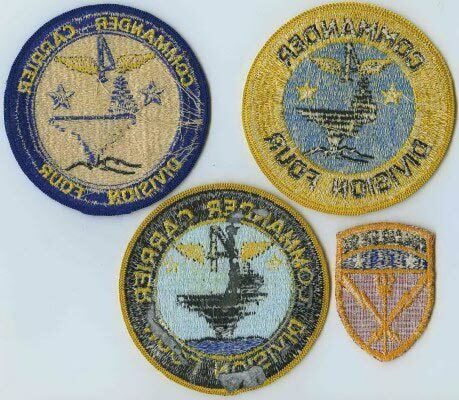 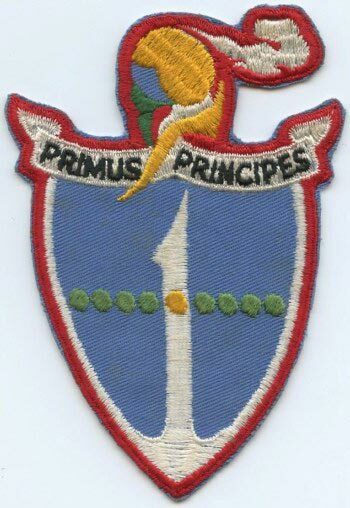 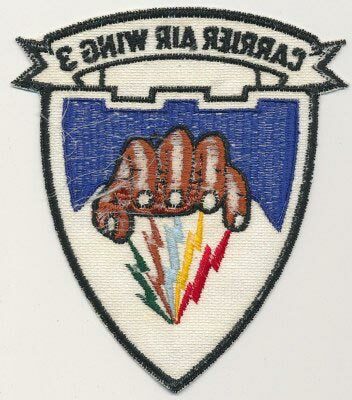 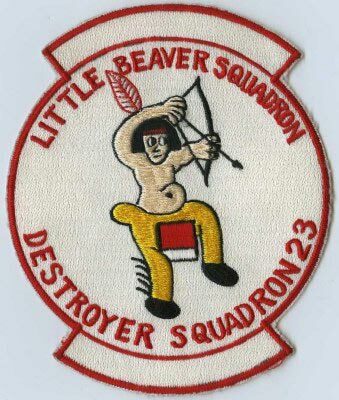 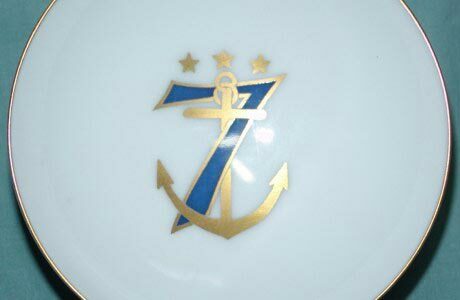 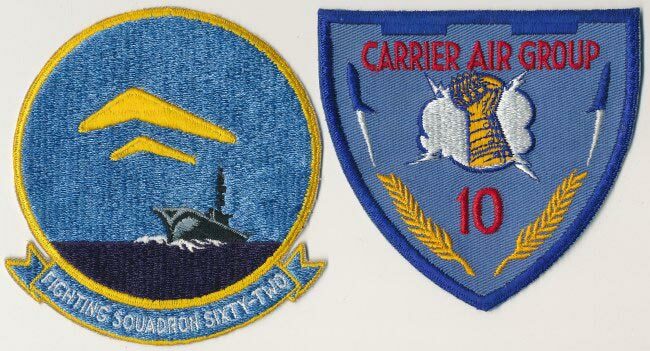 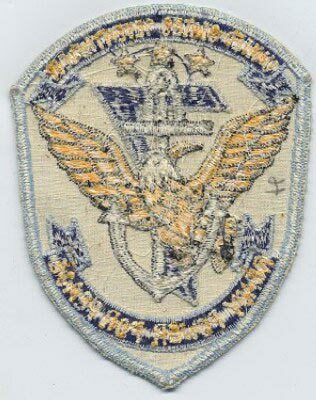 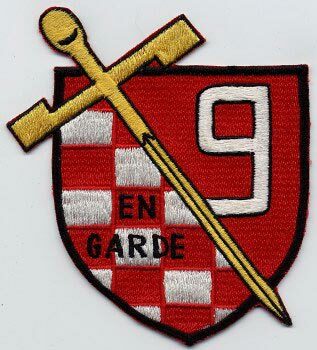 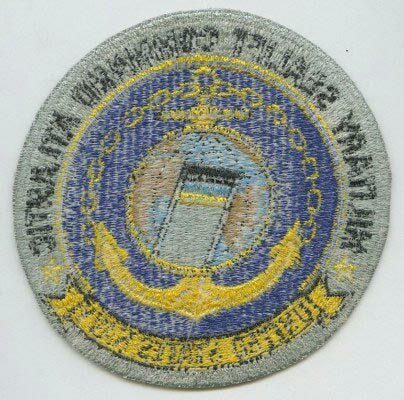 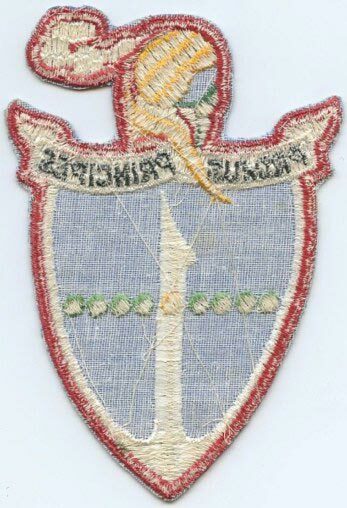 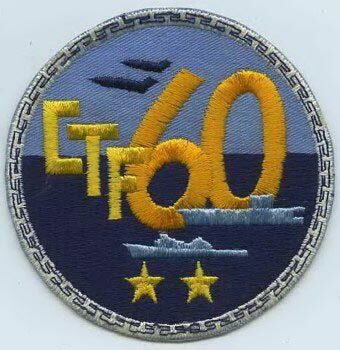 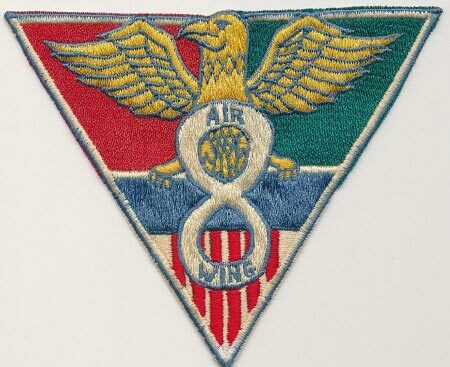 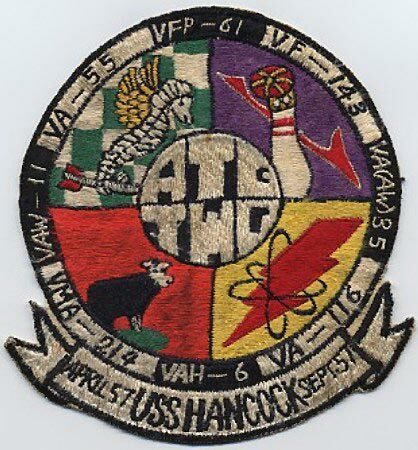 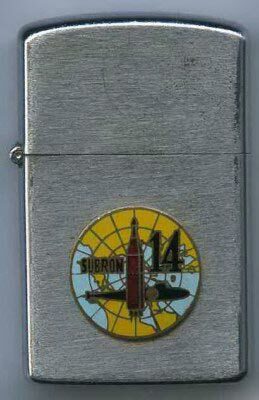 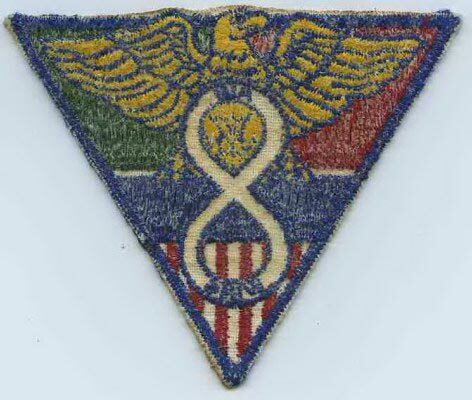 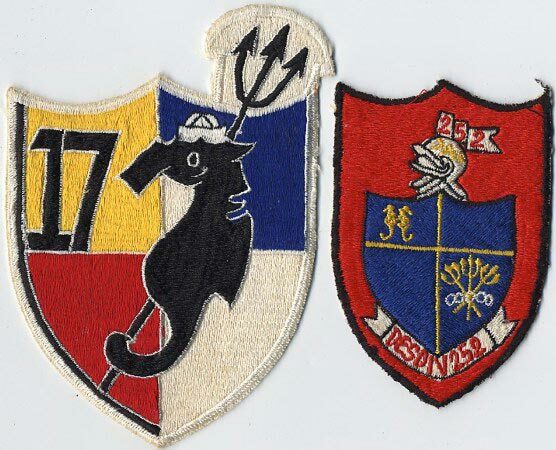 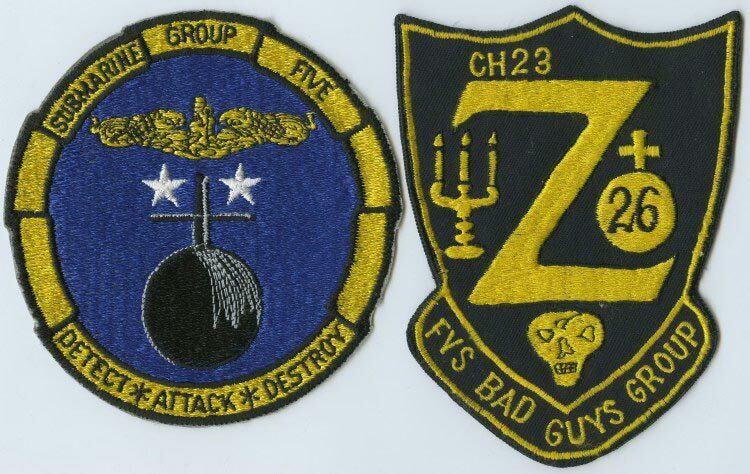 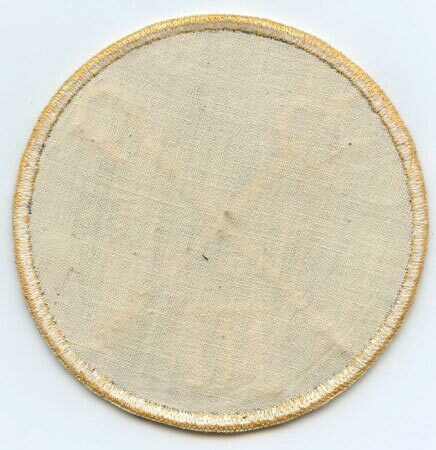 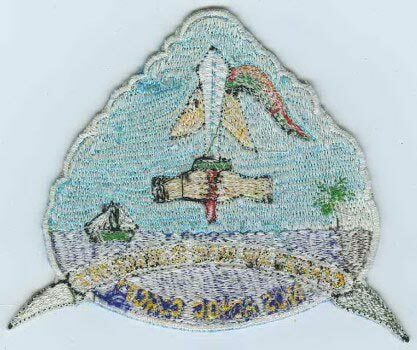 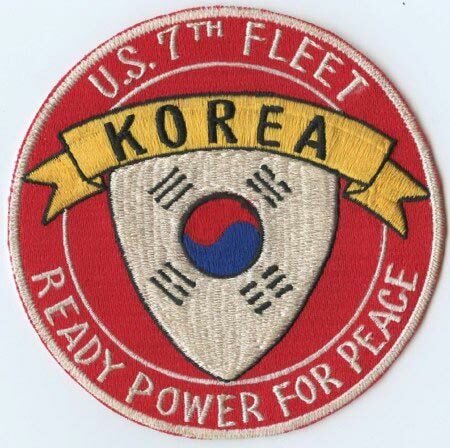 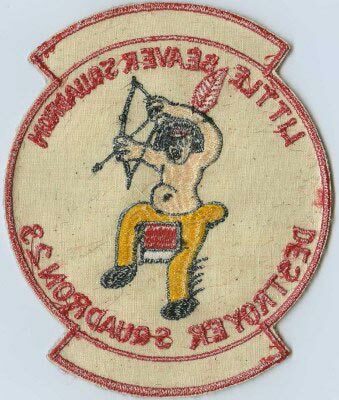 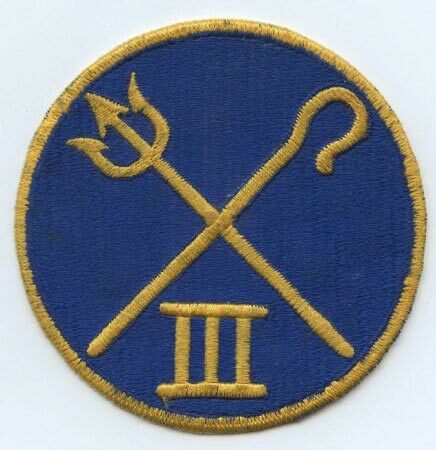 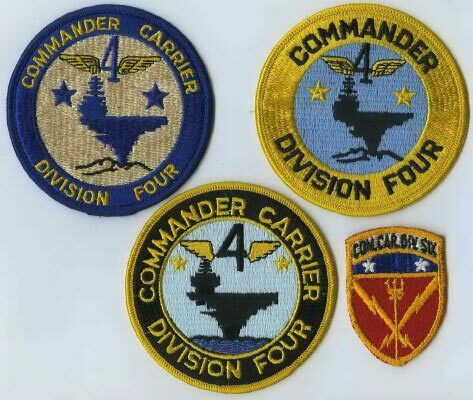 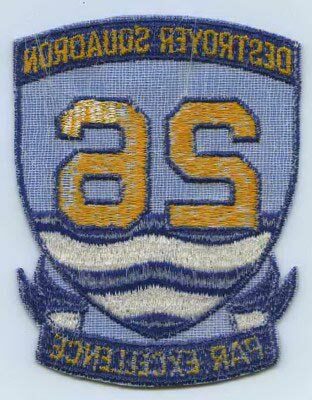 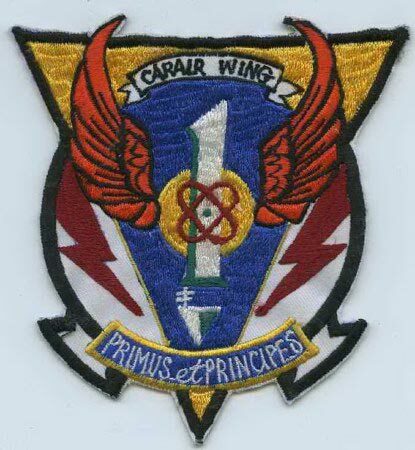 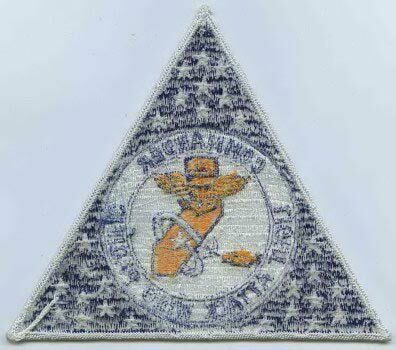 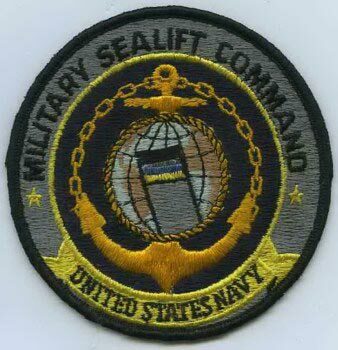 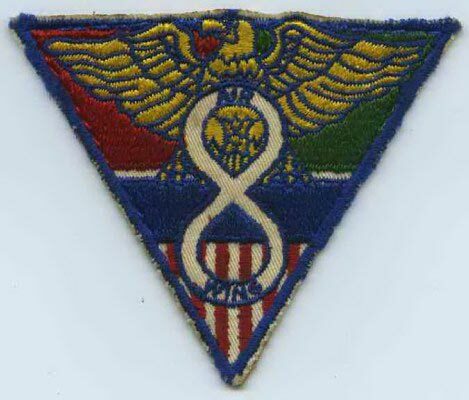 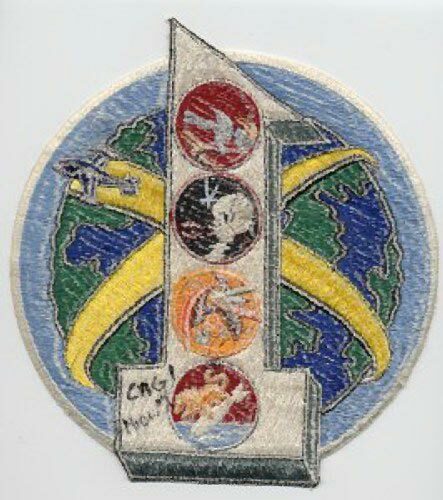 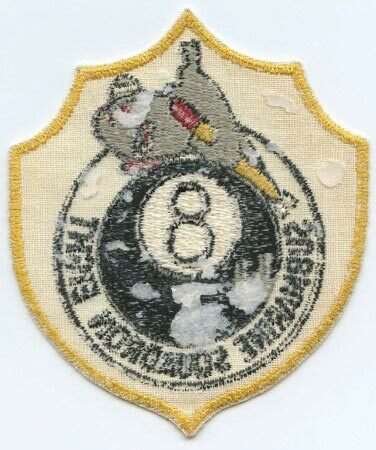 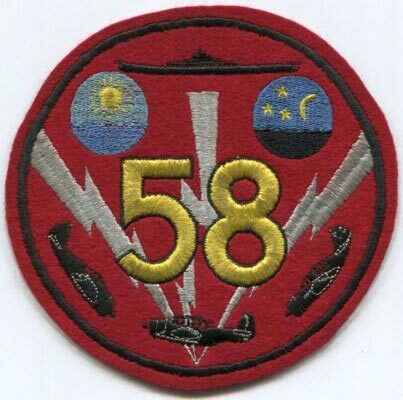 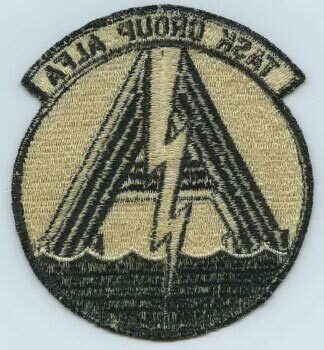 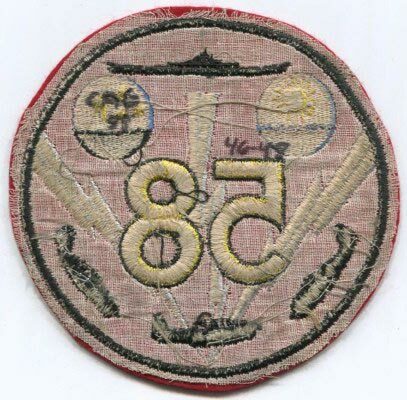 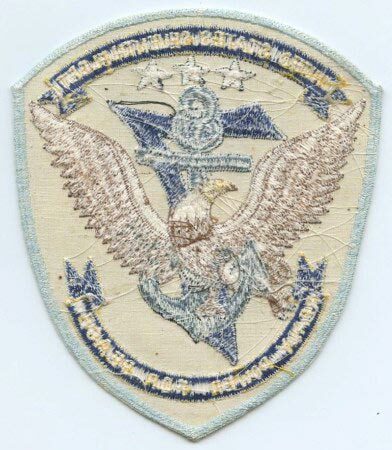 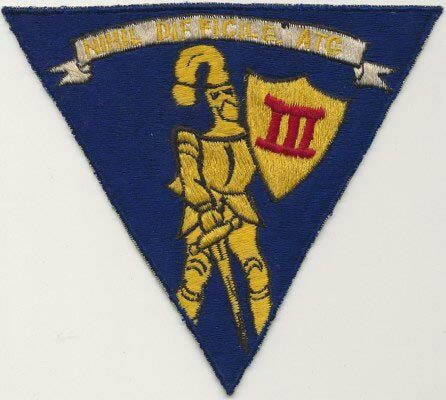 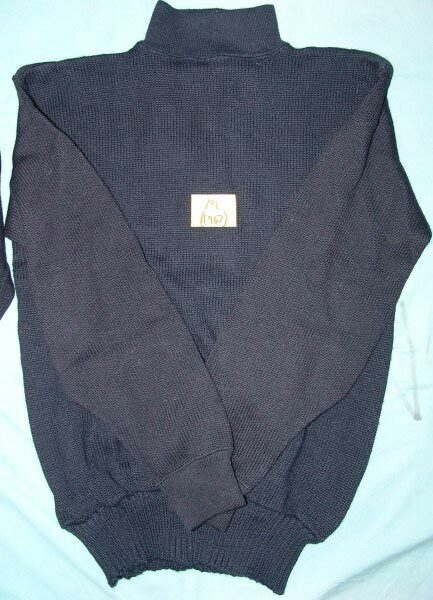 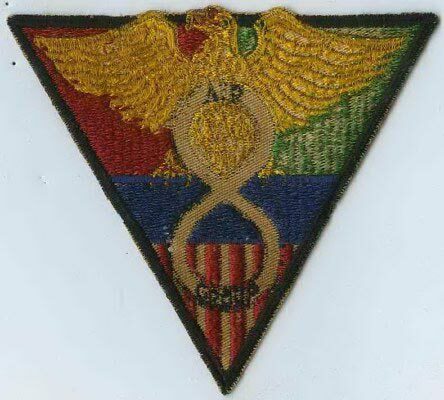 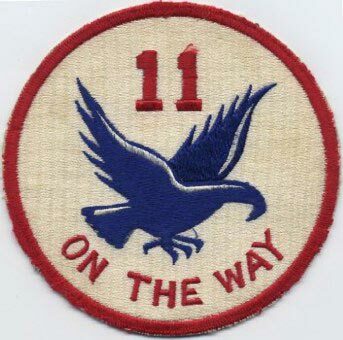 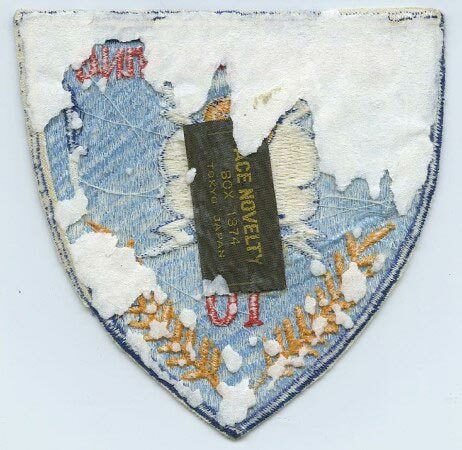 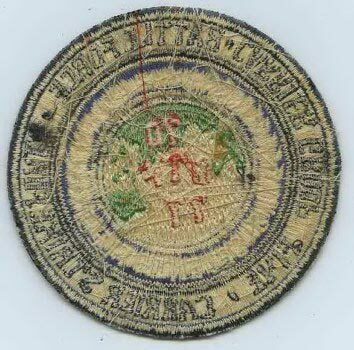 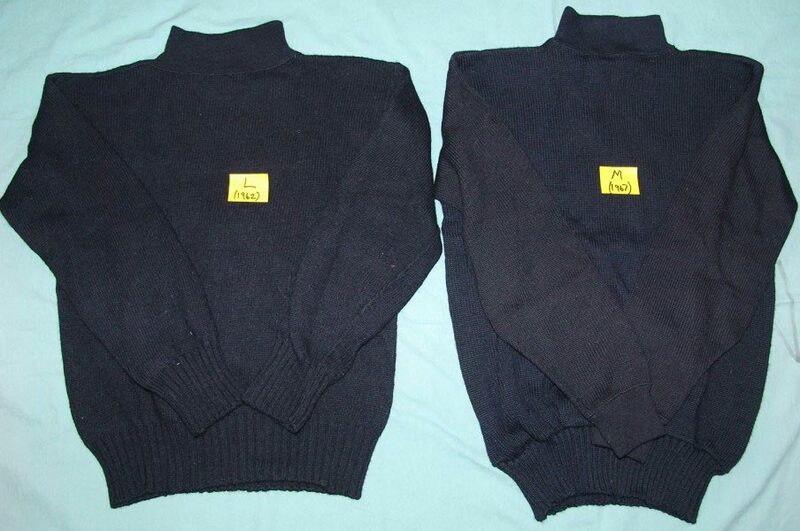 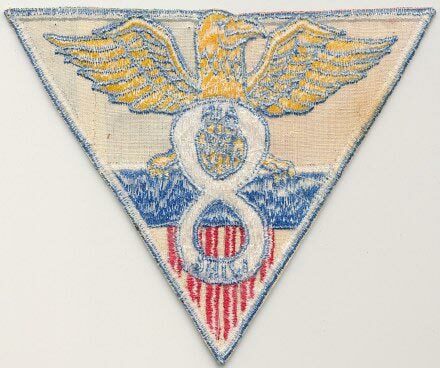 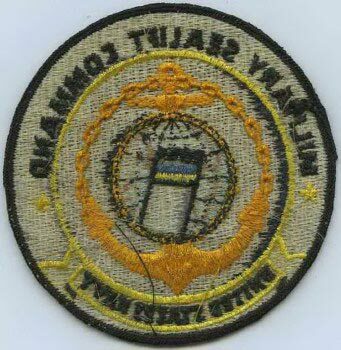 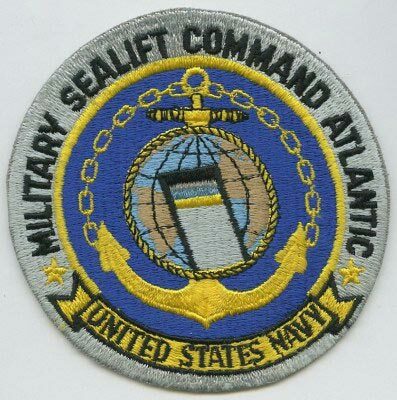 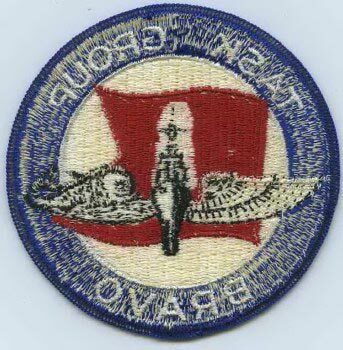 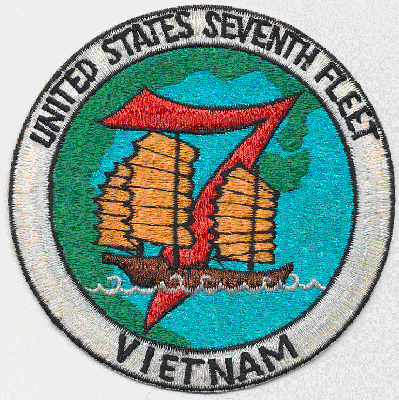 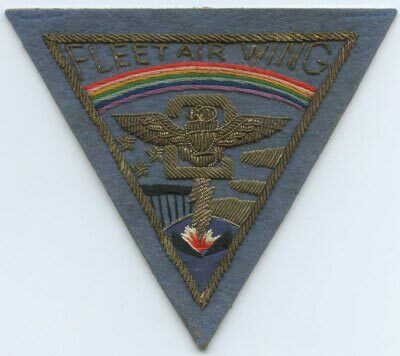 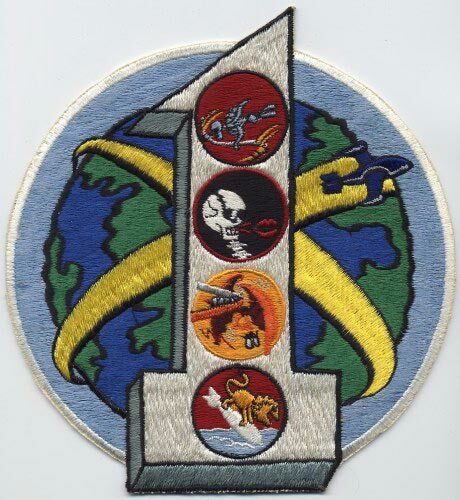 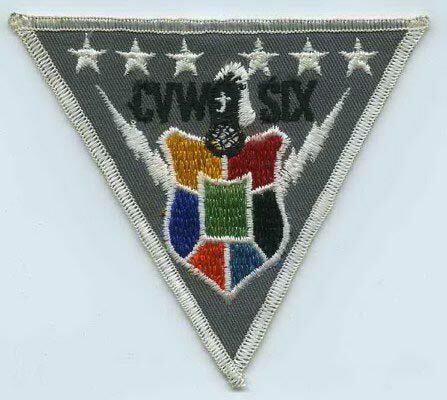 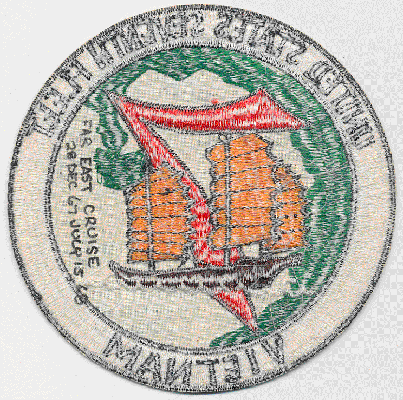 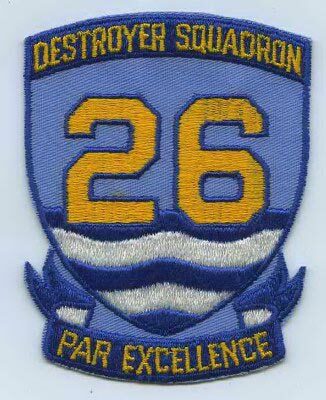 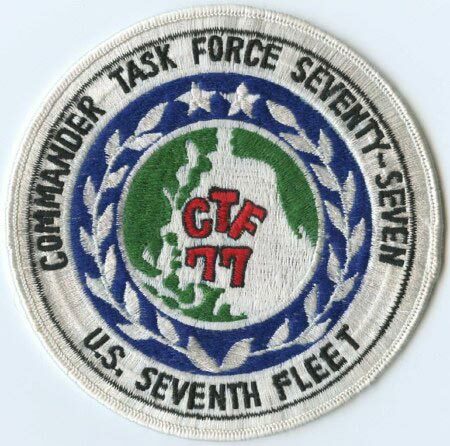 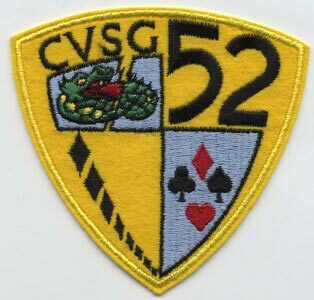 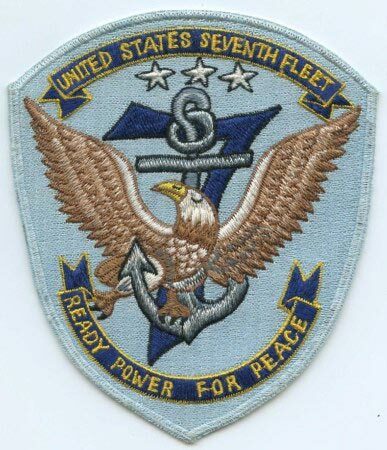 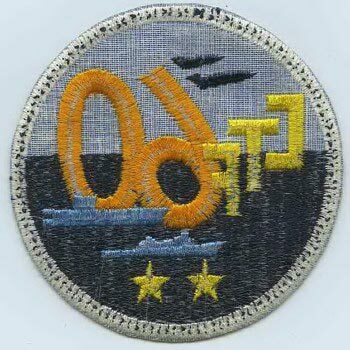 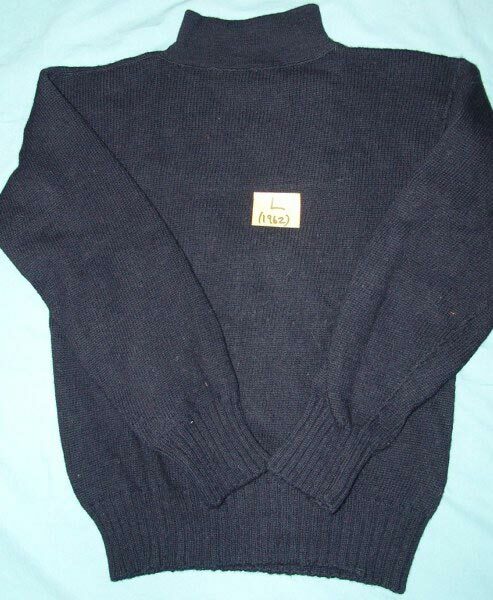 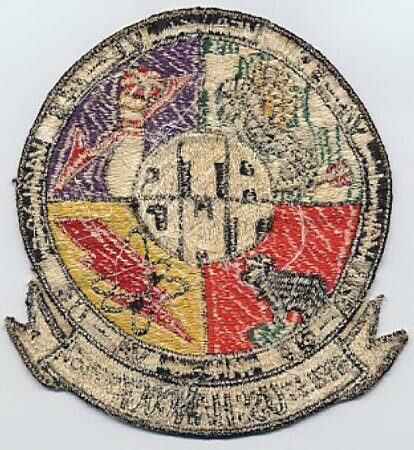 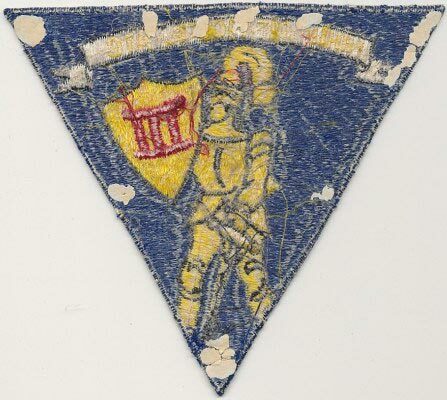 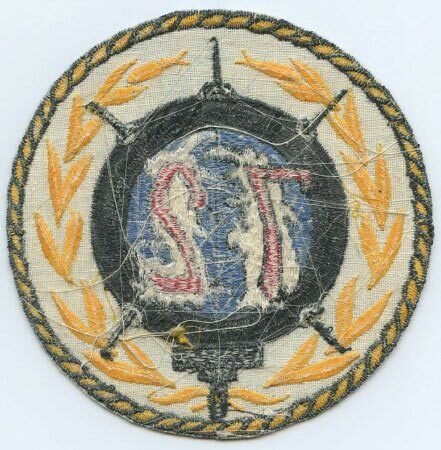 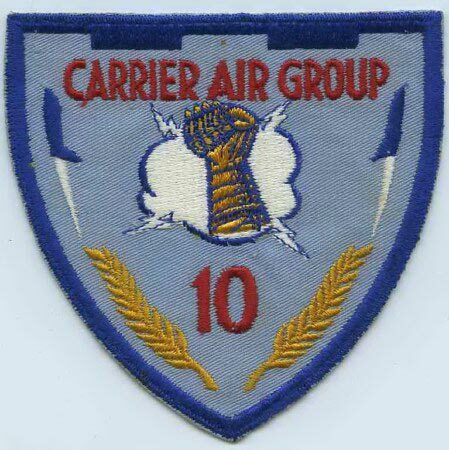 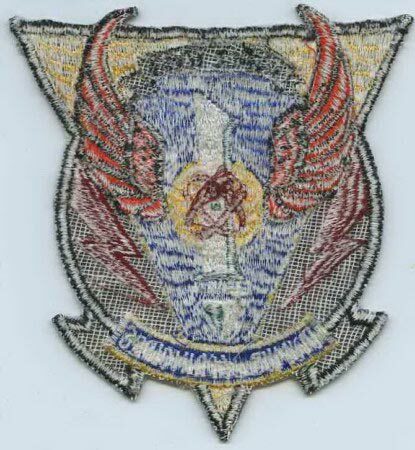 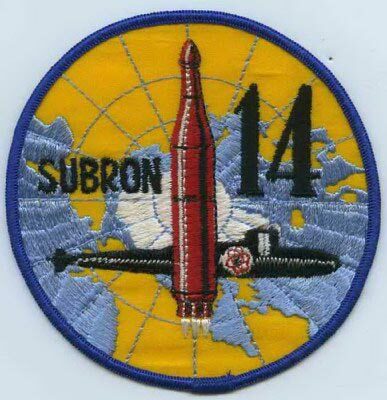 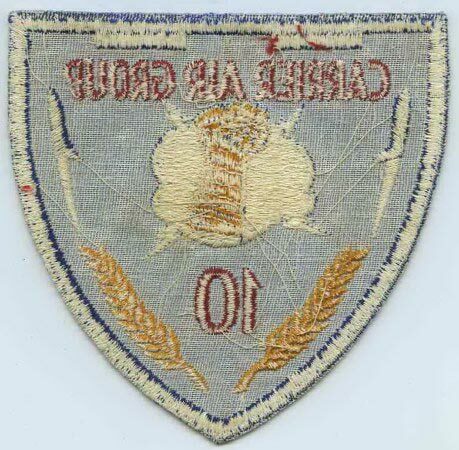 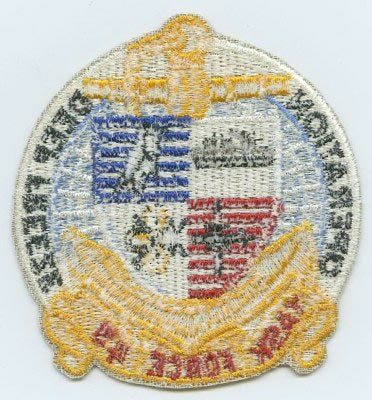 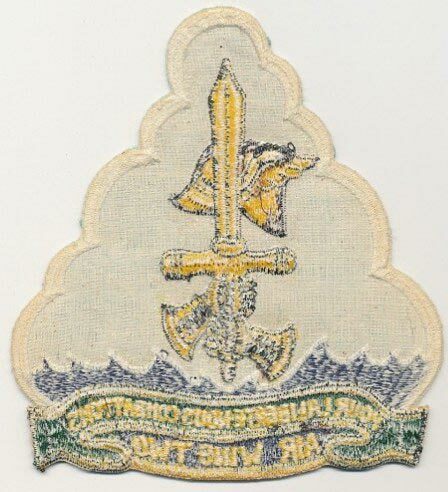 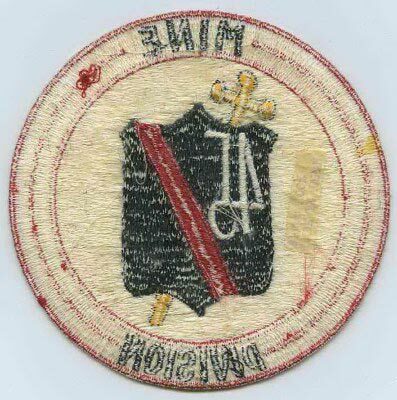 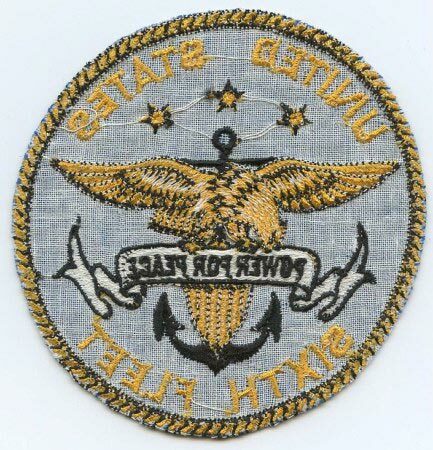 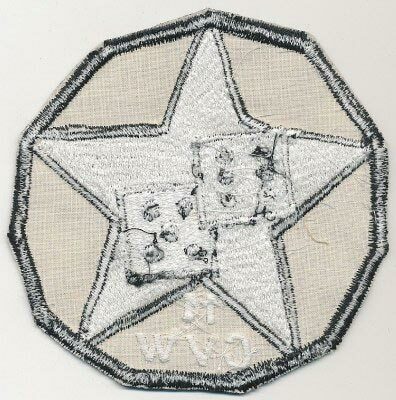 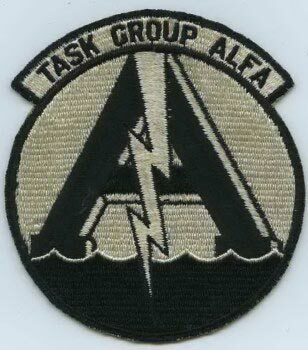 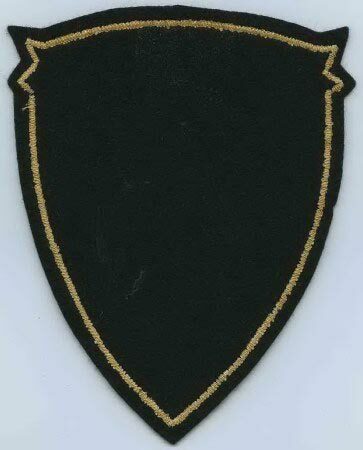 From the emblem on the patches I would guess unit was composed of: Submarine, Surface, and Aviation personnel. 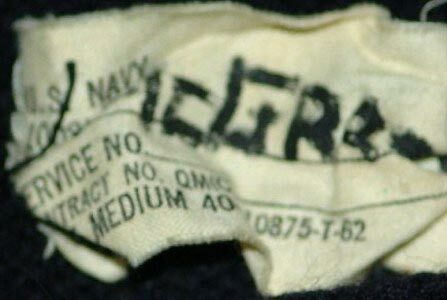 Additional sources state "RMR" means Ride Mother Ride. 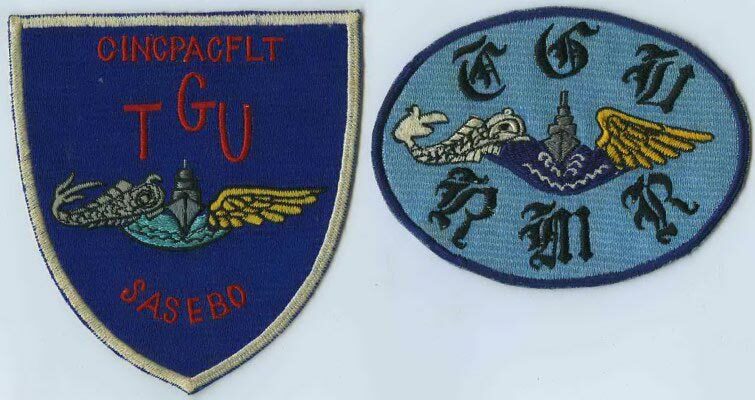 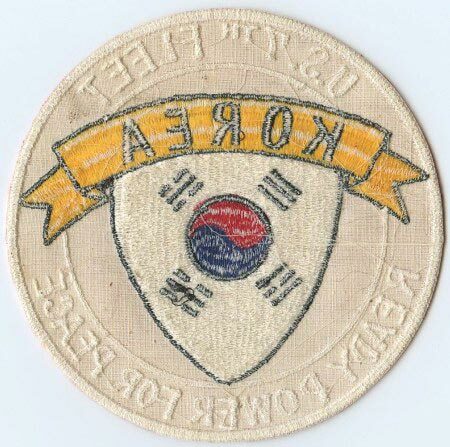 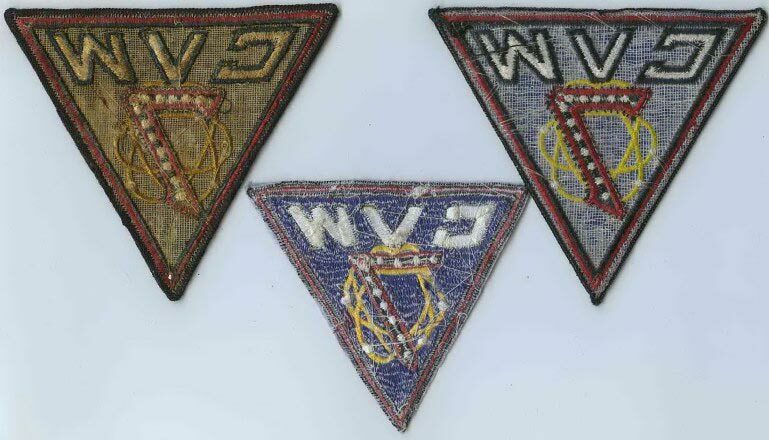 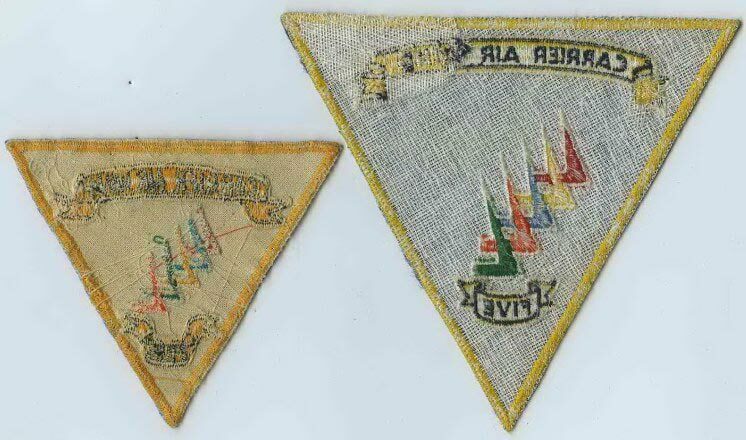 I found these Japan made patches together - I don't remember the other 2-3 patches that came from the same Veteran.